Whole Foods is the OG natural beauty destination—it’s been in the game since long before chic boutiques, online retailers, and megastores like Target started carrying clean skin care and cosmetics. Those long aisles of serums, mists, and makeup can be a little overwhelming, so I asked Giuliano to fill me in on Whole Foods’ hero products: the top 10 best-selling items from the retailer’s Whole Body department. That way, the next time you stock up on kitchen staples, you’ll have a few new ideas for feeding your skin, too. 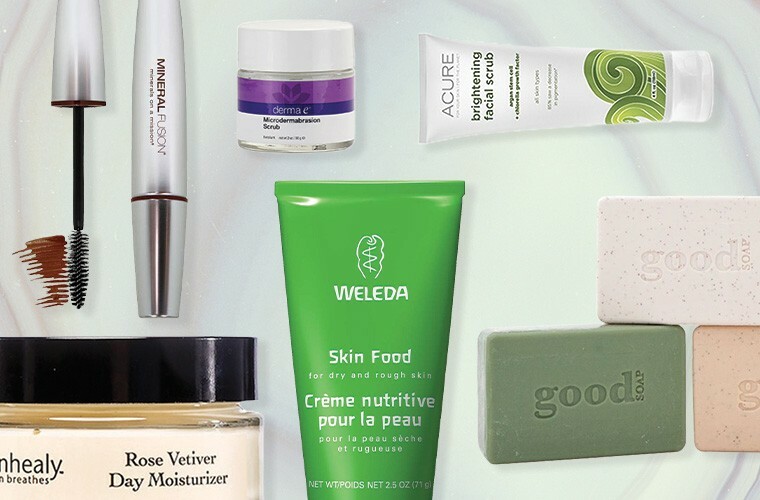 Keep reading to discover the Whole Foods beauty products with a serious cult following—some of which might surprise you. “Made with certified organic rosehip oil and pawpaw, this balm helps soften and moisturize,” says Jeanne Tamayo, global Whole Body buyer for Whole Foods. “It’s one of the best eye makeup removers I have ever used! Additionally, it helps fix split-ends and soothe minor scratches.” With all of those superpowers, no wonder it’s a number-one seller. “This is a great daily moisturizer that uses organic argan and jojoba oils to help moisturize skin,” notes Tamayo. It’s also packed with cold-pressed carrot seed oil and green tea extract, for an extra boost. This one’s probably been on shelves since the early days of Whole Foods—for a good reason. “Thayers Witch Hazel product has been popular for generations because its simple, soothing formula helps cleanse and tone skin,” says Tamayo. “It’s a staple for a lot of our shoppers.” Use it on its own, or as a base for this DIY mint toner. “A cult favorite, this product is ultra rich and the perfect tool to combat dry, flaky skin,” says Tamayo. The under-$20 staple has a serious Hollywood following, from makeup artists to stars like Whitney Port. Yes, coconut oil is found in the beauty aisle at Whole Foods. (Smart move, right?) “Coconut oil is a popular multitasking beauty product, from a moisturizer to a makeup remover, and these packets are the perfect size to take on-the-go,” Tamayo explains. “This face scrub works well with many skin types and our shoppers love that it helps brighten skin while exfoliating gently,” says Tamayo. Plus, it’s way cheaper than a facial. There’s a lot of buzz around natural beauty these days, in large part because of the Personal Care Products Safety Act making its way through Congress. One way to ditch the chemicals while the industry cleans up its act? Swap your face wash for honey—it’s a great acne treatment.